Mark G. Goetting, MD, Medical Director of the Sleep Disorders Center at St. Mary's Health System in Evansville, IN, became the fourth neurologist in a two-year period to evaluate a 22-year-old woman who came in with a progressive gaze paresis, ataxia, cognitive decline, and cataplexy. She was uninsured, and her parents, who had already paid more than $6,000 out-of-pocket, had yet to receive an answer to their daughter's deteriorating condition. Striving to make the singular best choice of tests, Dr. Goetting posted a query on the listserv, Child-Neuro List. When the majority of participants responded in favor of the diagnosis of Niemann-Pick type C, he ordered the studies and confirmed their suspicion. Although a sleep specialist who manages narcolepsy with cataplexy on a routine basis, he was uncertain about the best course of treatment for this challenging patient. When he then asked the group for advice about treating her dramatic cataplexy, a leading expert on the disease suggested protriptyline, an old treatment that has become second-line. Office samples eliminated the cataplexy and greatly improved the quality of life for the entire family. She has remained in remission for the past four months. More and more neurologists are turning to listservs – electronic mailing list services – to assist with complex clinical cases. These forums allow participants to correspond quickly and efficiently using e-mail, Web browsers, and newsreaders. They create online medical communities that facilitate communication with colleagues and solicitation of opinions from subspecialists and experts in areas that extend beyond our customary reach. Roy D. Elterman, MD, a pediatric neurologist who has been in group practice in Dallas, TX, for 23 years, and a member of Child-Neuro for five years, added: “The listserv provides incredible access to cogent thought. Parents are comforted if I tell them that I may not be certain of the best course of action, but I have immediate access to 1,200 child neurologists to whom I may post a query regarding their child. It is an efficient way to get information, especially regarding clinical scenarios that are not easily captured by literature searches,” he said. Many participants noted that there is perhaps no better way for neurologists to ensure wide, targeted distributions when seeking referrals to specialists or peers in other geographic locations or posting notices of meetings, grant availability, or clinical trial opportunities. For example, he said, “when ACTH [adrenocorticotropic hormone] became abruptly unavailable in 1996, many neurologists from the listserv contacted the FDA Commissioner explaining that infants were being placed at jeopardy and urging his immediate intervention.” The group engaged in lengthy discussions about alternative treatments, and members who practiced in countries in which ACTH was not available offered their experiences. The Epilepsy Foundation was staggered by the rapidity and volume of physician pleas, and within a month, Rohne-Poulenc-Roher, who had discontinued manufacturing ACTHAR gel, announced that they would resume production. Furthermore, the company arranged for free medication to be distributed through a system established by the National Organization for Rare Disorders. Because many listservs include international participants, similar queries about medical conditions less common in the US or medications that are not FDA-approved may yield feedback more quickly than from any other venue. “The international nature of the list is especially helpful,” said Robert S. Rust, MD, Thomas E. Worrell Jr. Professor of Epileptology and Neurology at the University of Virginia in Charlottesville, who has been a subscriber to Child-Neuro since it began. Listservs have had to develop their own unique quality-control systems. Although there is no formal oversight over quality of content or accuracy of posts, clinical statements that are inaccurate, reflective of minority opinion, or otherwise biased frequently encounter a swift demand for evidence-based authentication or even rebuttal with postings of PubMed literature searches and links to medical and scientific studies. “Sometimes misconceptions that perhaps many of us share are corrected on the list, to the benefit of all,” said Dr. Rust. There is much discussion about what constitutes inappropriate material on a listserv. Listserv coordinators spend many volunteer hours per week maintaining these sites, but tend to limit their interventions to reminders about pre-established rules. Dr. Leber pointed out that ''the system works through self-censorship – members intervene when postings deviate from agreed-upon terms. “There is no pre-screening, but, on extremely rare occasion, we have had to expel or block postings from a member who has blatantly ignored the rules or, for example, tried to sell a product,” Dr. Leber said. Michael H. Rivner, MD, moderator of the adult neurology listserv, Neurolist, is also reluctant to censor postings. He does, however, intervene privately offline if a member posts statements that are blatantly inappropriate. Perhaps one of the more controversial aspects of an open international and diverse congregation is the issue of political posts. Freedom of speech must be weighed against the potential for fracturing the community and alienating members by exposure to religious, moral, ethical, or political viewpoints that some readers may find offensive. “Occasional brief epochs of irritation arise when inappropriate subjects are broached or comments are made, but the good sense of the participants and the excellent and intelligent stewardship of Drs. Leber and Mack restore composure very quickly,” Dr. Rust explained. Privacy issues are a continuing concern. Although patient names are withheld, there exists a potential for privacy violations, including situations in which one neurologist may recognize another's patient, consultant, or referring physician. Similarly, there have been incidents of inadvertent publication of list posts on the Internet. And, although coordinators control subscription and log-on requires the issuance of passwords, the system is nevertheless susceptible to infiltration by non-practitioners or persons who should otherwise not have access. Child-Neuro listserv, established in 1993, currently has approximately 1,250 members from 60 countries. In 2003, there were 1,500 postings and an average of four posts per day. For more information, visit www.personal.umich.edu/∼leber/c-n/e-mail.html or contact the listserv coordinators – Steven Leber, MD, PhD, at leber@med.umich.edu and Kenneth J. Mack, MD, PhD, at Mack.kenneth@mayo.edu. Neurolist, established in 1994, currently has approximately 1,100 subscribed members as well as additional members who log on through MedLink, a Web-based clinical information service. Its members come from at least 30 countries. It averages 12 posts per day or 4,000 postings per year. 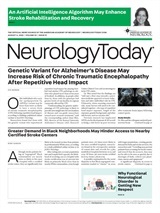 For more information, visit http://neurolist.com/index.html or contact the listerv coordinator, Michael H. Rivner, MD, at MRivner@neuro.mcg.edu. ✓ Increasingly, listservs have become an effective option for neurologists seeking opinions and perspectives on neurology care and treatment from a diverse and international panel of experts. ✓ Listserv moderators caution, however, that posters should not interpret congruent postings as measures of professional consensus or a standard of care.